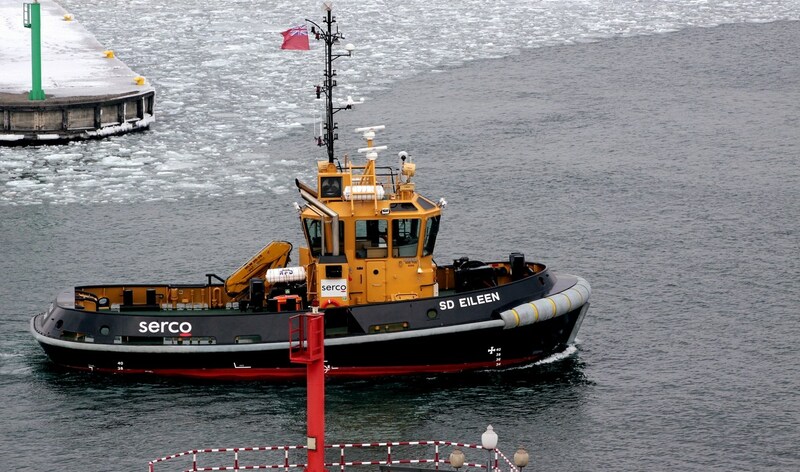 Home › Sea Tug › ASD Tug › ASD Tug 2009 › ASD Tug 2009 "SD Eileen"
SD Marine Services in the UK took delivery of 'SD Eileen' on May 5, 2010. Based in Devonport, she was the first in a series of four vessels. 'SD Suzanne', the second of the series, was delivered a month later on June 22. 'SD Suzanne' was followed by 'SD Christina' on September 7. Both tugs have their home base in Portsmouth. Finally 'SD Deborah', with her home port in Devonport, was delivered on December 9, 2010.